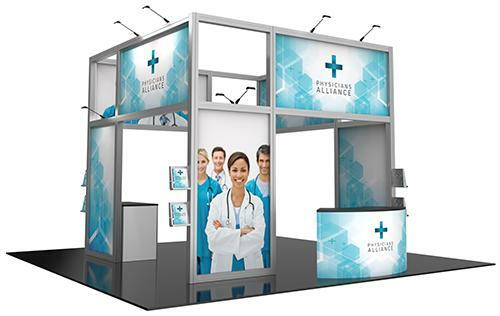 When it comes to professional trade show results at cost-effective rates, it’s hard to beat our custom 20×20 rental booths. 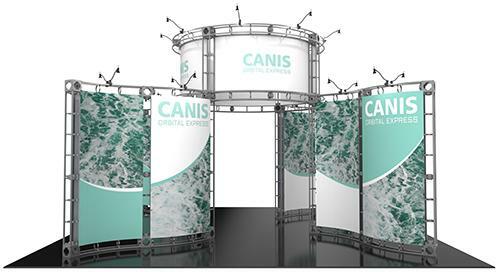 For some clients attending trade shows far away from headquarters or others who need to make a big splash for a new product rollout, custom 20×20 display rentals are a practical and economical way to reach their target audience without a large investment commitment. If either of those scenarios reflects your current situation or you need 20ft booth rentals for another application, you have definitely come to the right place! 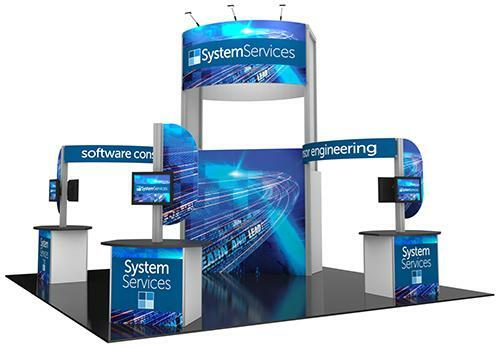 At Capital Exhibits, whether a client needs a permanent marketing solution or a temporary rental arrangement, our approach is always the same: painstaking attention to detail, superb craftsmanship and professional results at consistently affordable rates! 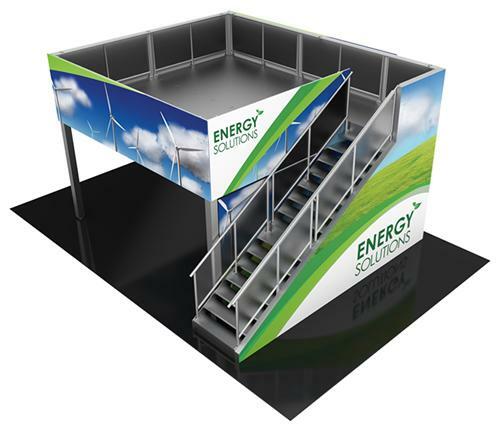 Our lightweight aluminum extrusion systems with tension fabric displays are very affordable, versatile and elegant for any types of 20 x 20 rental booth. 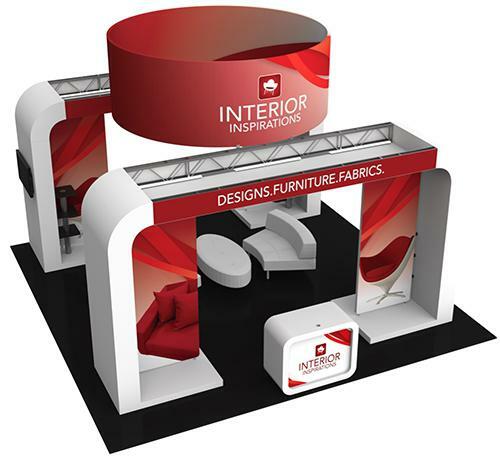 our tension fabric 20 x 20 rental trade show displays are simple, yet stunning, systems that are designed with the modern exhibitor in mind. Some of these 20×20 displays are combination of 10′ and 20′ backdrop graphic systems. Our LED light boxes and vibrant with special fabric media for maximum brightness and vivid colors. Adding a overhead hanging banner with inside and outside graphics will increase your exposure at any exhibition and convention hall. 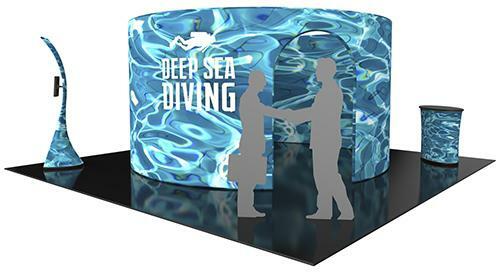 These 20×20 rental booths are ideal for conferences, exhibitions and trade shows. We also provide graphic design services for your entire booth that way you are not only getting professional designs but also your graphics will perfectly fit the stands with any revisions. 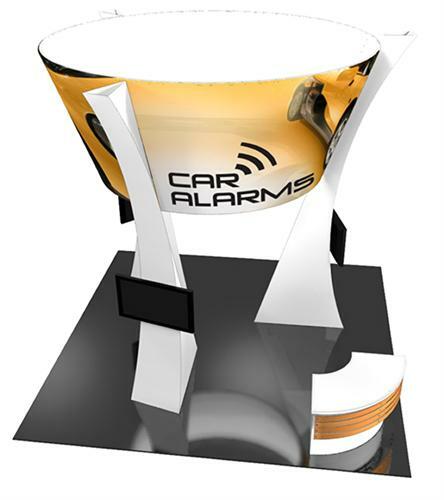 These custom displays can be delivered and installed to Las Vegas, Chicago, Orlando, Indianapolis, Denver, New Orleans, San Francisco, New York City, Anaheim, Atlanta, Boston, San Diego or anywhere in the US. 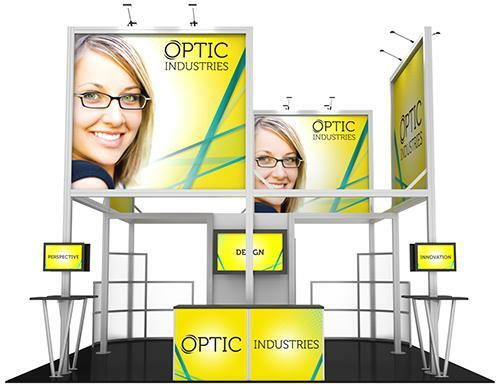 Why rent 20×20 trade show display? 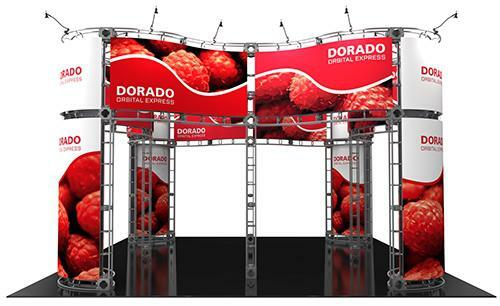 For effective 20×20 rental exhibition booth of all kinds that make an impact with viewers, deliver results and also stand out for their cost-effectiveness, it’s hard to beat our 20×20 rental systems! 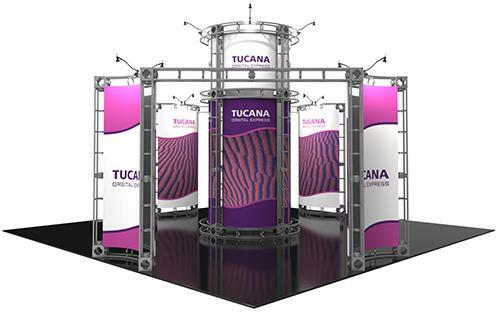 Our rental 20×20 foot trade show displays are available in a wide range of different configurations, finishes and while each is as unique as the client, they are all crafted from the very best materials for durability, positive impressions and outstanding return on our clients’ investment. 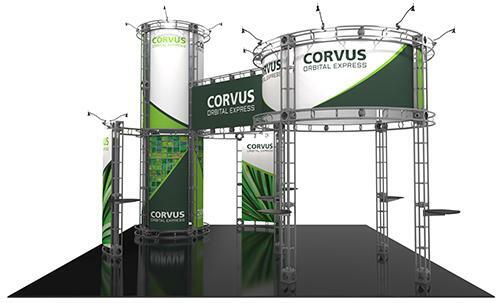 Our design and manufacturing teams are especially fond of taking on projects involving 20-feet trade show popups as they get a big palette to show off their creative chops! 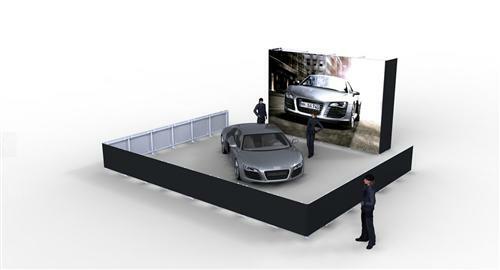 Do you need a 20×20 rental booth for your next show? Call Capital Exhibits today at 866-730-3746 for outstanding service and selection! 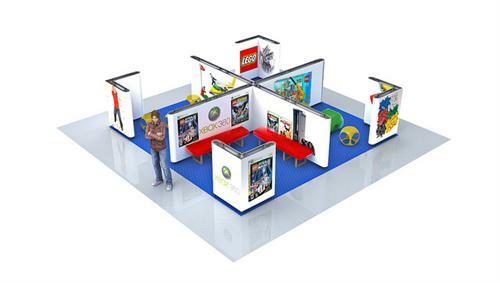 Our 20×20 rental custom exhibit booths can be reconfigured to fit your 20×20 booth space needs. These systems are ideal choice for all kinds of promotional campaigns from trade shows to satellite marketing outposts and all other applications. These durable, professional-grade 20 x 20 displays set the stage for your team and its products and services and help them attract the quantity and quality of visitors that your organization needs to achieve its goals.